As an addendum to my earlier post regarding driving on the limit, Chris Harris’s review of the Toyota GT86 does an excellent job of teasing out the issue. While GT86’s paltry 200hp doesn’t exactly whet the appetite, especially in an era where assembly line supercars like Ferrari’s F12 Berlinetta and Lamborghini’s LP 700-4 crest the 700hp mark, it still manages to hit all the intangibles that make for a truly great driver’s car. I can’t recall any car having such a high profile development cycle with journalists getting ride-alongs in test mules and photo shoots with preproduction cars in flashy livery. I also can’t figure out why anyone would want to buy this car. 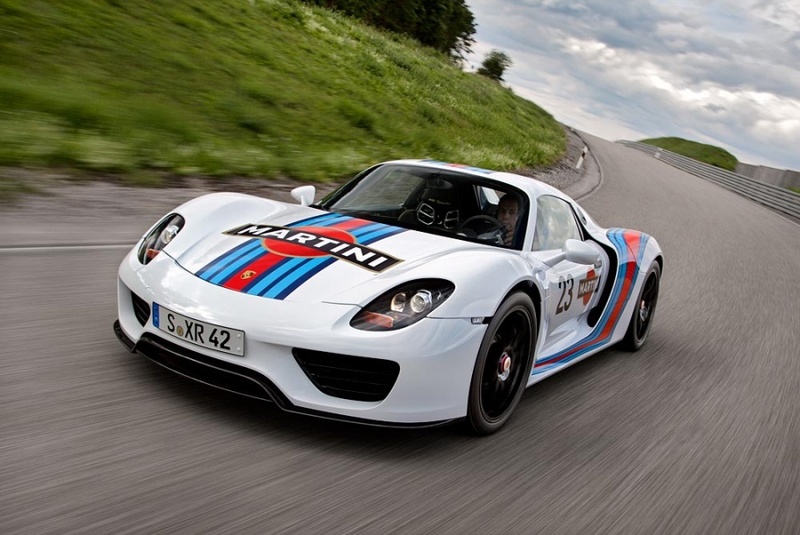 Objectively, the 918’s performance is staggering thanks to a hybrid drivetrain capable of producing 770hp and 78 mpg. Unfortunately, these figures are mutually exclusive. You can’t use 770hp and return 78 mpg. Fuel efficiency and performance occupy opposite ends of the spectrum. The 78 mpg rating is based on the New European Driving Cycle (NEDC), a standardized test used to determine a car’s mpg figure, and the 918’s hybrid system is designed to optimize engine output specifically for the demands of the NEDC test. This tactic, known as cycle beating, requires 918 to be ladened with over 500 lbs of batteries and electric motors so to spend as much time as possible in full electric mode while undergoing NEDC testing. Even worse, electric mode limits the car’s performance to a 90 mph top speed and approximately 200 hp. It’s a heavy price to pay for a mpg rating that owners will never see in the real world, let alone care about in the first place. Porsche’s own GT3 R Hybrid, the car they developed specifically to race against conventional gasoline powered race cars, eschews batteries in favor of a flywheel storage system. The head of Porsche’s motorsport R&D stated, “for performance applications, a battery recharges too slowly” which doesn’t serve to bolster the 918’s credentials. If Porsche built the 918 with a flywheel system, I would be in full support. Unfortunately, we’re stuck with the book smart equivalent. The 918 draws some striking parallels to the Bugatti Veyron, coincidentally one of the least fuel efficient cars on the road today. Like the 918, the Veyron was devised around a set of massive but pointless performance metrics and then painfully massaged into production. 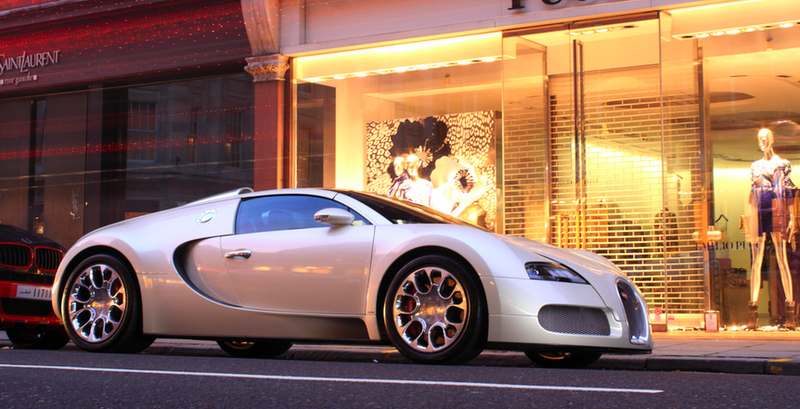 Fortunately, those performance goals (1,001 bhp and a 250+ mph top speed) were complimentary, and the Veyron is very good at going fast as a result. But it’s also completely useless, even by supercar standards. To my knowledge, not a single private owner has reached the car’s top speed, and even fewer would argue that its chassis and grip are on par with its straight line performance. It can break traction in a straight line in 4th gear with AWD! The 918 runs the risk of sharing the same fate as the Veyron, a very expensive fashion accessory. I fear similar criticism for the 918 but for the opposite reason. While the Veyron was too focused on speed at the expense of all else, the 918 runs the risk of alienating everyone by being too much of compromise. Its contradictory performance goals spreading its real world performance too thin. No one is going to buy the 918 to limp around town in crippling electric mode just to get thumbs up from Chevy Volt drivers, and conversely, the same could be said for driving a 3,800 lb supercar with only 550 hp when the batteries are drained. The sad truth is that the 918 is about creating brand recognition, not real world performance. Designed to hit as many buzzwords and performance metrics as possible, the car’s real target audience is everyone who doesn’t have to live with its glaring shortfalls and can just admire it from a distance. It’s a halo car, not a supercar. Regardless of how fast your car is, driving on the limit is the most rewarding way to go. At the :42 mark this 911 gets particuarly loose on a 4th gear downhill section of Spa. Serious commitment required. 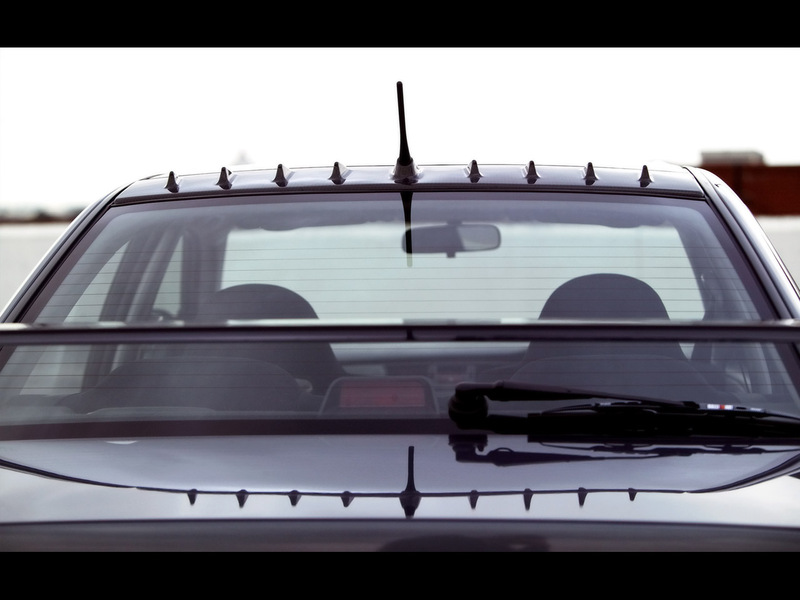 The Mitsubishi Evo VIII/IX MR had roof mounted vortex generators that supposedly cleaned the air passing over the back of the car. They also served to distinguish the MR from lesser Evo variants. Since I’ve never seen them on another car (Evo X included), it’s safe to assume that their purpose was mostly cosmetic. And on a car like the Evo, questionable styling features are fine, even expected. Apply this concept to a luxury sedan and the results are less than spectacular. BMW’s M5 has taken the MR approach to differentiating itself from the lesser 5 series models. Fake venting on the front quarter panels, flashy special colors, 20″ brushed alloy wheels, and bright blue brake calipers fail to add any tangible benefits and merely serve to exemplify the misguided nature of the car. Objectively, the M5 is a hard sell. Compared with the other 5 series variants, it is the heaviest, most expensive, least fuel efficient, and harshest riding. All for a car that will realistically spend a vast majority of its time sitting in traffic. Of course, I still want one… just minus the flair. I want a low profile comfortable sedan with devastating speed. 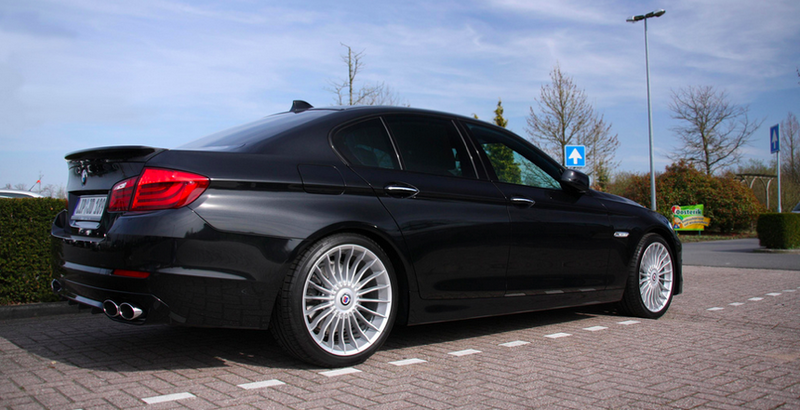 What I want is an Alpina B5. Alpina is a quasi-independent and long standing BMW tuner dating back to 1965. Known for making fast luxurious cars; Alpina is somewhat reminiscent of the last decade of cars produced under AMG with their high HP engines mated to more livable driving dynamics and restrained aesthetics. 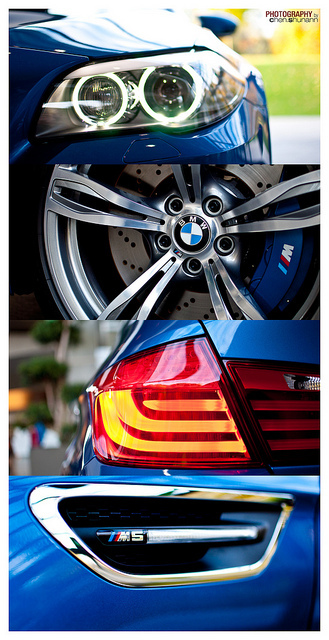 With Alpina there’s no fancy side mirrors, flared arches, or unnecessary venting. Their cars receive mild exterior modification with signature Alpina rims. Interiors include custom materials, and the suspension is more focused on a comfortable ride than setting lap times at the track. Of course, it’s still unnervingly fast thanks to 540hp accompanied by a massive 538lb-ft of torque from its twin-turbo V8. While not the outright performer of its M5 counterpart, it could be argued that the B5 is better suited for the real world. No matter how you tune it, be it M, Quattro, AMG or Alpina for that matter, these cars are still fundamentally 2 ton luxury sedans, not sports car. So why fight it? The B5 isn’t looking to be the Swiss Army knife of sports sedans. Give me a car that does one thing well over a car that does everything ok and nothing great.